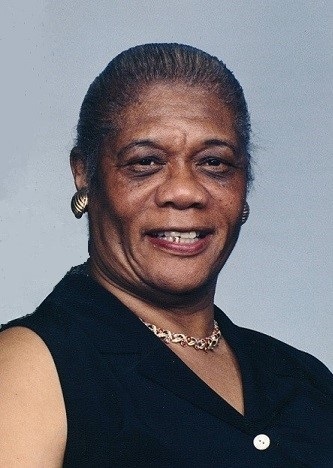 Obituary for Rosie Lee Pritchett-Taylor | House of Wheat Funeral Home, Inc.
PRITCHETT-TAYLOR, Rosie Lee, age 87, of Dayton, passed away peacefully January 28, 2019. Rosie Lee, (“Cecil”, as affectionately called by family members), was born July 3, 1931 in Columbus, GA and attended Radcliff School. She later relocated to Dayton, and worked within the Home Healthcare industry for several years as an aide. She was a faithful member of Valley Peace Missionary Baptist Church for many years, serving in the Mothers Ministry and Pastor’s Aides. She was known for her good cooking. Family members and friends enjoyed those cakes, cobblers and soul food dishes! Preceded in death by her parents, Cephas and Silvery Bell Hill; brothers, George, Joe, I and Lucious Hill; granddaughter, Robyn Cope-Boazman. Survivors include daughter, Linda Gail Wheeler-Cope; son, Andrew Pritchett; great granddaughter, Kennedy Boazman; cousins, Kathryn Weather, Alfonzia Culpepper, Rolando Tennie, Shante’ Parham, Lee Ann Pritchett; and great grandchildren. Funeral service will be held 1 pm Monday, February 4, 2019 at the House of Wheat Funeral Home, Inc., 2107 N. Gettysburg Ave. Rev. Jackie Robinson officiating. Visitation 8:30 am at the funeral home until time of service. Family will receive friends one hour prior to service. Interment Woodland Cemetery.